Fundraisers - WELCOME TO SACAJAWEA ELEMENTARY PTA! Our Annual Fall Fundraiser is our first fundraiser of the year. For  two weeks in September  students sell Payback Books AND/OR ask for donations for the Phantom Fundraiser to help raise money for your school and win prizes for you and your classroom! You can participate in one or both fundraisers, but they each have their own student prize program. 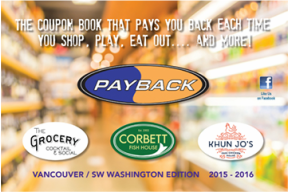 The Payback Book prize program  has four ways to win: Sell  THREE  books and WIN a small toy! Sell  FIVE  books and WIN a medium toy! OR  Sell  TEN  books and WIN a large toy! The Phantom Fundraiser prize program  has five ways to win as well:  Raise $10  and win an emoji popper. Raise $25 and win a crazy hair finger person. Raise $50 and earn a silly face stress ball. 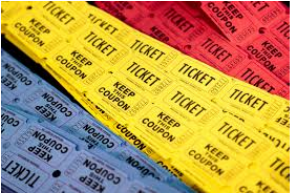 Raise $75 and win an entry into a drawing for a gift card, and Raise $100 and get a 'get out of fundraising guilt-free' card and two entries into the drawing. Prizes are cumulative. Win them all! Also  TWO CLASSES  win supplies for their teacher and classroom! The class with the  MOST PARTICIPANTS…AND the class that  RAISES THE MOST MONEY!!! NOTE: Sacajawea PTA accepts checks/cash. You may also use the Donate button below to participate through PayPal. Please be sure and reference student name/teacher! Our Annual Spring Fundraiser is our second big fundraiser of the year. For two weeks in March students sell Mixed Bag Designs and participate in the Skyhawk Ninja Warrior Fundraiser. You can do one or both fundraisers, and each has its own cumulative prize program that will be delivered with the orders. The money we raise will go towards PTA's budget of $6375 for K-5th teachers and $1800 for ECE, SCP, PE, Art, Dance, Music, Reading and more. These funds help pay for classroom supplies, educational items, and grants for field trips and technology. We also have funds budgeted for Family Fun Nights, Staff Appreciation, the Spring Carnival, and 5th Grade Farewell Committee. If every student sold 1 item, our profit would be about $3100. If every student sold 7 items, we would profit over $21,000! We receive 50% profit from Mixed Bag Designs if you order directly through student. We receive 40% profit from Mixed Bag Designs if you order online. Donate items for your classroom's buy-a-bid baskets. Teachers will send home a note with their classroom theme asking for donations. These awesome baskets will be prizes for buy-a-bid! Send goodies for the cake walk. Calling all bakers! Donations of cakes, cookies, pies, brownies, cupcakes, etc, homemade or store bought...everything is welcome! Volunteer to help. We need lots of bodies... moms, dads, grandparents or teenage siblings!